Today I asked my senior English class to formulate some contentions drawn from the set text, Mary Shelley’s ‘Frankenstein’. 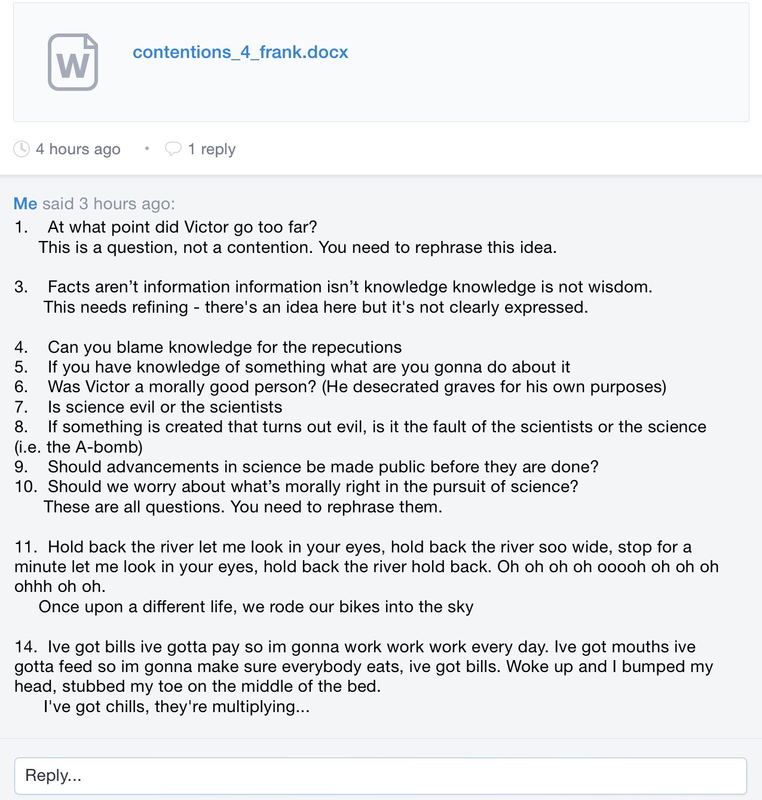 This is the submission from one group of students, and my responses. Gosh, I love these kids.